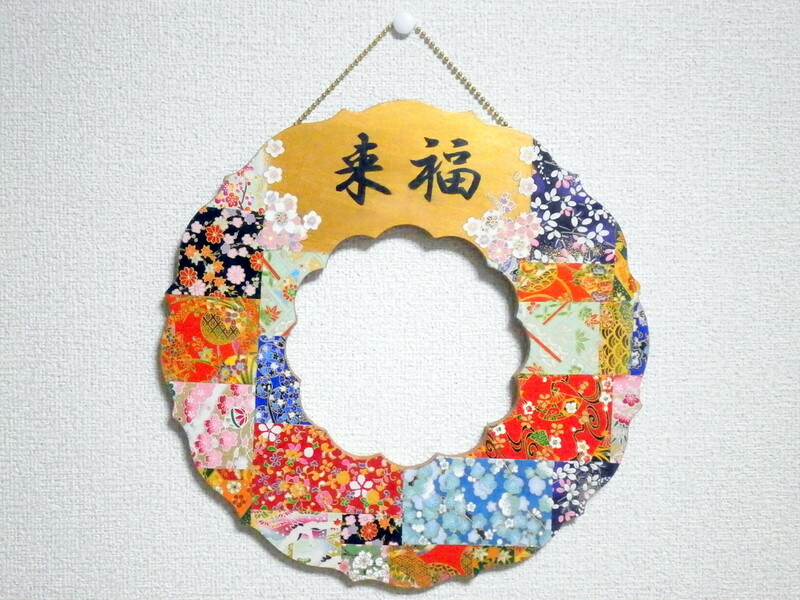 is lease of handmade which did decoupage to wooden material. 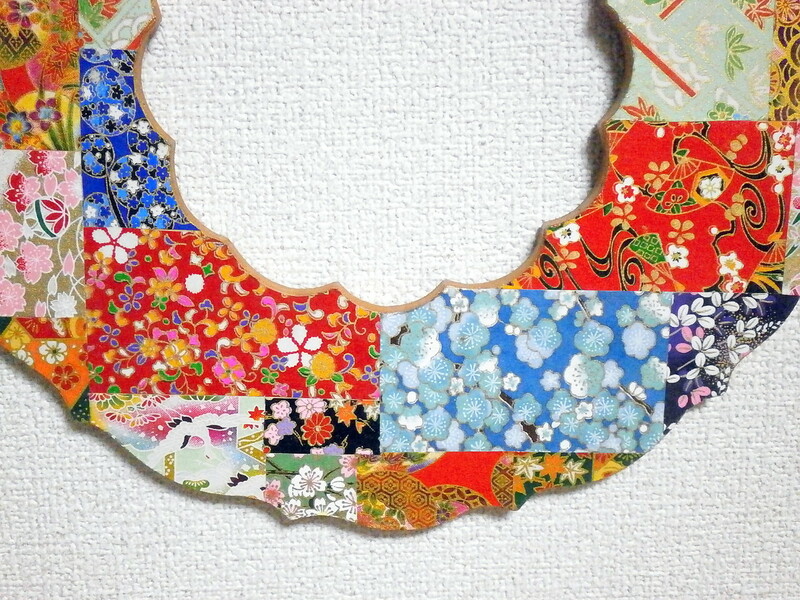 Lease of this Japanese Pattern recommend as one of the best interior ornaments. 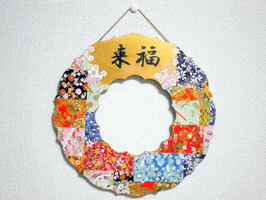 Also be able to use as decoration of the Lunar New Year. 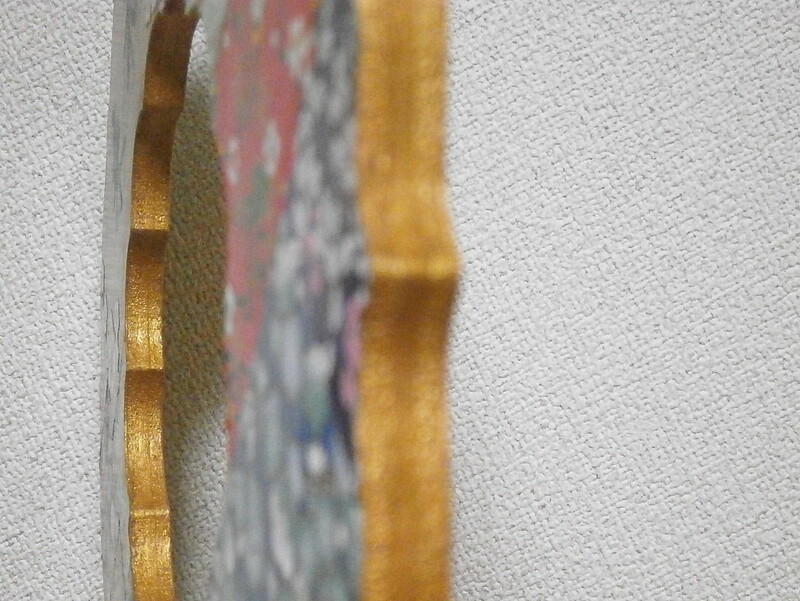 The character, the edge and the top of the lease was finished with acrylic paint. 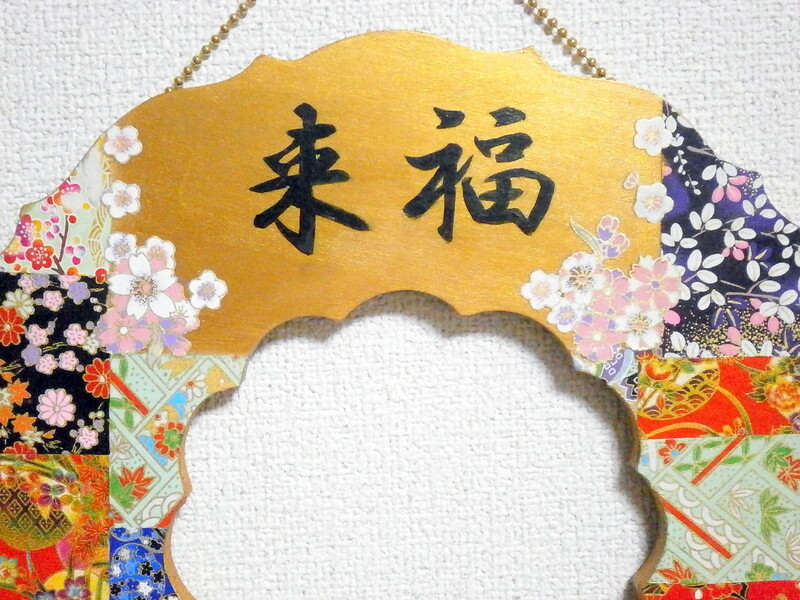 The character of 「来福」(Raifuku) are auspicious Japanese language word. that meaning of "come fortune, come happiness". However, is not completely waterproof, please do not wash. Please wipe lightly once by dry cloth when wet.